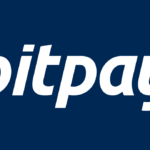 DUKLEY GARDENS - LUXURIOUS PENTHOUSE - Bitcoin Real Estate Inc.
Elite real estate along the Adriatic Coast which it is now possible to buy cryptocurrency Bitcoin (BTC)/ Ethereum (ETH), Budva – Montenegro. 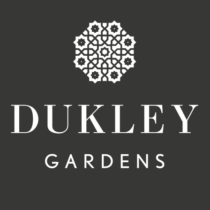 Dukley Gardens has 36 villas and 202 luxury apartments, they are between 88 and 544 square meters. Here everything is created with incredible inspiration and designed to the last detail. LUXURIOUS PENTHOUSE ON THE BEACH ALONG THE ADRIATIC COAST, 502 sq.m. We are pleased to offer outstanding two-level penthouse in the heart of the Budva Riviera in Montenegro. This one of a kind luxurious, exclusive penthouse with a spacious terrace, combining an elegant hand-crafted interior and a premier Dukley Gardens address. Total area of 502 sq.m. 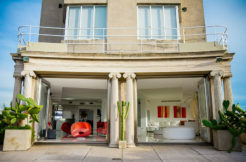 Penthouse is located in the elite residential complex Dukley Gardens on the peninsula of Zavala. Total floor space is 502.0 square meters, including terrace on the second level of 231 square meters. High ceilings and panoramic windows, making this penthouse space unusually bright and spacious, offering delightful 360-degree panoramic views of the crystal-clear waters of the Adriatic Sea, majestic mountain peaks and the Old Town of Budva. The penthouse is fully ready to move in, all furniture, curtains, air conditioning, home appliances are already installed and ready to use. 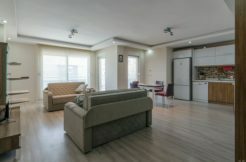 Fully commissioned and inhabited complex is managed by a management company with English-speaking professional staff. 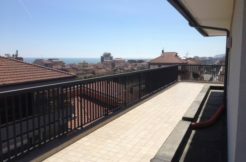 This penthouse is not only an ideal place to relax on the Budva Riviera, but also an excellent investment and preservation of funds in real estate in Montenegro along the Adriatic coast. Ideal place for permanent residence or your second home. The basic idea of Dukley Gardens lies in creating a modern, comfortable residential complex, which harmoniously maximum benefit from the surrounding natural conditions: active relief, the presence of plants, directly on the coast, indescribably beautiful panorama. The architecture of the city-club contains characteristics of minimalism and modern design, but at the same time fits very well in local traditional styles. The external works at the complex materials of high quality were only used and well-known international brands. The walls of the villa residential complex Dukley Gardens are lined with rare white stone from the company JADRANKAMEN, which is produced on the Croatian island of Brac. Windows and doors are made of aluminum structures and architectural glass SunGuard brand company GUARDIAN. Small supplies and door locks are from German companies GRETSCH-UNITAS. Materials used for the interior finishing are meeting world’s highest quality standards: Italian parker by GARBELOTTO, LUALDI interior doors and glass partitions, ceramic tiles by GRANITI FIANDRE, faucets, taps and sinks from DORNBRACHT, VILILLEROY & BOCH sanitary ware and jacuzzi, outdoor lighting by iGUZZINI, flooring for balconies from REHAU, fireplaces by French company BEO FABRILOR, GUARDIAN elite designer glass, furniture from POLIFORM company, VARENNA kitchen cabinets and kitchen equipment MIELE.